@smiklakhani I believe there is a minor bug in Infinity’s Date attribute. What’s happening is that there are date and time attributes combined in this one “Date” attribute. If you are having this problem, here is how to fix it. Go to a Table View and edit this Date column. 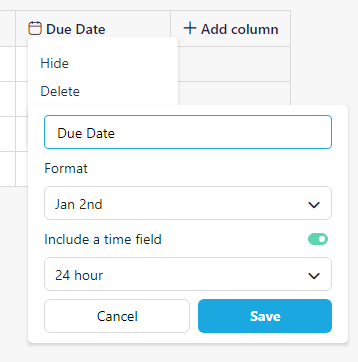 Toggle on the “Include a time field” and save. You will now see times after your selected dates. Select a time like 12:01AM or my random 01:03AM , something that is the beginning of the day. Your today and equal filter should work for today’s tasks. If you want to break this again, change the time to a later time (something beyond 4 hours out) and the task will no longer show in the filtered results. Problem: When we select a new date, there is a timestamp that is created automatically. Below is making a new task not too long ago and assigning a date, I did not place in the time. If I’m right and we forward to April 11th, I would not see my task until I’m within 4 hours of that timestamp when using the filter. 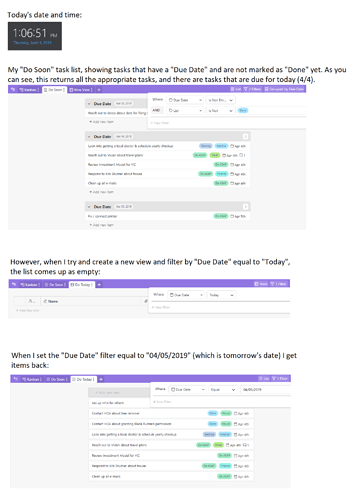 I believe that when we filter based on “today,” Infinity is looking at past and current times and will not include a task that is in the same-day but has a much later timestamp. Not sure if this is by design. If my timestamp is beyond 4 hours (my time, Pacific Time), then this task will not be shown when I filter for Today or Equals + Today’s Date. @veronica, thanks for getting back to me with your findings! Based on your findings, I believe the main thing that needs to be done is that timezone complexities need to be accounted for. 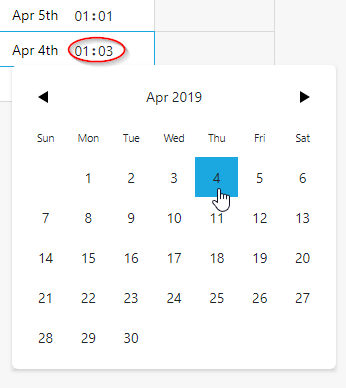 9pm on April 4th for me (MDT timezone), is actually 3am on April 5th in terms of GMT (which I’m guessing the system may be using), which explains why those tasks that I had marked as being due on the 4th, were showing up under the 5th. Assuming the system stores everything in GMT, I guess “Today” needs to be viewed in the context of the user’s timezone, since “Today” may mean one thing to someone in the Philippines and another thing to someone in the United States. @smiklakhani Yes. Hopefully, it helped you with your immediate issue. And sorry, I should have made it much more clear that the context of my findings is based on my PDT timezone. A user’s timezone is something that has to be accounted for. Your topic actually had me going through my profile to try to find something related to time or location… didn’t find anything. It would be good to have an account level setting as a default timezone (where every date is based on that), but maybe a case could be made for time settings at the workspace/board level too? I haven’t thought through the logistics of this yet. You’re right guys: It is a bug. I’ve just talked to our team, and they should start fixing that today. BTW. @veronica we are amazed by your resourcefulness. It’s awesome how you managed to figure out this on your own! Also: including a timezone for each account could be a good thing to do. Guys – Thank you very much for this topic. We are amazed! @coa I’m glad that this wasn’t by design. Haha. Also, glad that @smiklakhani reported this because I probably would have never noticed it otherwise. Please extend my thanks to the team for working on a fix so quickly.